Our love affair with eggs. | 30th Anniversary Issue | Style Weekly - Richmond, VA local news, arts, and events. Our love affair with eggs. Who knew Richmond could go so nuts over decorative eggs? 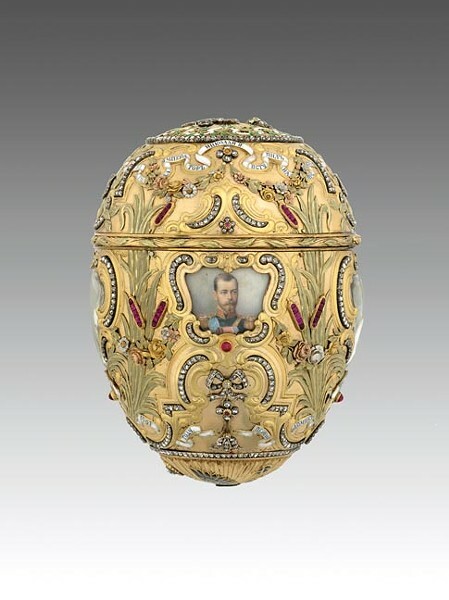 A comprehensive exhibit of Fabergé eggs in 1996 — jeweled decorative eggs produced in Russia — at the Virginia Museum of Fine Arts stayed a week longer than initially planned and required the museum to hire 127 temporary workers to handle the influx of crowds. A ball that coincided with the exhibit's opening sold out in a day at a cost of $550 a couple. The eggs themselves arrived under the watch of armed guards, and two of the most valuable pieces, part of the Forbes collection, had to be flown in by couriers on separate flights. The eggs each got its own business-class seat.